NAV is focused on offering a more personal, practical approach to the overall safety training for your entire family. Individual or group classes can also be scheduled upon request. This class is beginner friendly and meets the state requirements for KS & MO Concealed Carry in addition to several other states. We have 6 1/2 hours of training material to discuss in a comfortable environment then we will go to the range for live fire qualification. Don't worry about the test or qualifying. You are welcome to bring your personal handgun or I can provide one for you to use. We will go to The Bullet Hole at the end of class for the Range portion. 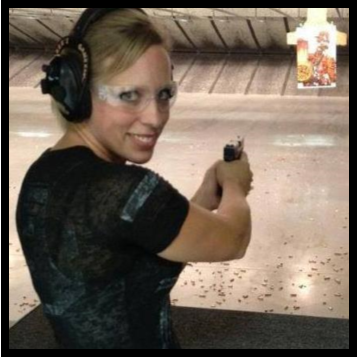 Beginner friendly Basic Pistol Class for Ladies only. You will learn essential gun safety rules, types of pistols and which is best for you, holster selection and safety considerations, the basics of ammunition, range safety rules, fundamentals of pistol shooting, the most common shooting errors and proper gun cleaning and maintenance. Space is limited. Classes are held at 6231 Robinson, Overland Park KS. We will go to The Bullet Hole at the end of class for the Range portion. Some of the topics in the course include: gun safety rules, proper operation of revolvers and semi-automatic pistols, ammunition knowledge and selection, selecting and storing a pistol, the fundamentals of shooting, and pistol inspection and maintenance. Range fee is additional. *BIT Training is required every 2 years, you do not need to attend Day 1 if you can provide proof of current BIT Training. You stand a much better chance of preventing criminal attack if you develop a safety plan before you need it. The seminar teaches easy‑to‑understand methods you can use to increase awareness and prevent criminal confrontation. You will get the tools you need to develop your own personal safety strategy. Includes NRA Refuse to Be A Victim Booklet. Classes are held at 6231 Robinson, Overland Park. Space is limited. NRA Range Safety Officers are people who possess the knowledge, skills, and attitude essential to organizing, conducting, and supervising safe shooting activities and range operations. Gift Certificates can be redeemed by scheduling online at www.notavictimtraining.com or through email at notavictim.training@gmail.com. Join NAV's Strength in Sisterhood for monthly training sessions on personal safety related issues and FREE range time with the ladies. *Members also receive a 20% discount on many Not A Victim Training Classes. **Members must be at least 18 years of age and legally able to possess a firearm. You will learn essential gun safety rules, types of pistols and which is best for you, holster selection and safety considerations, the basics of ammunition, range safety rules, fundamentals of pistol shooting, the most common shooting errors and proper gun cleaning and maintenance. We have 6 1/2 hours of training material to discuss in a comfortable environment then we will go to the range for live fire qualification. Don't worry about the test or qualifying, I will teach to your level and walk everyone through the qualification individually. You are welcome to bring your personal handgun or I can provide one for you to use. Range fee is additional.